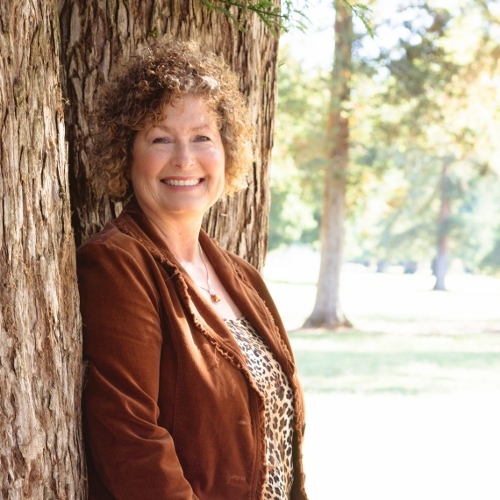 I’m thrilled to have my dear friend and talented author Mary Morgan here today! I’ve featured some of her work during our Medieval Monday rounds, and she’s featured excerpts from my medieval romance series, The Novels of Ravenwood. 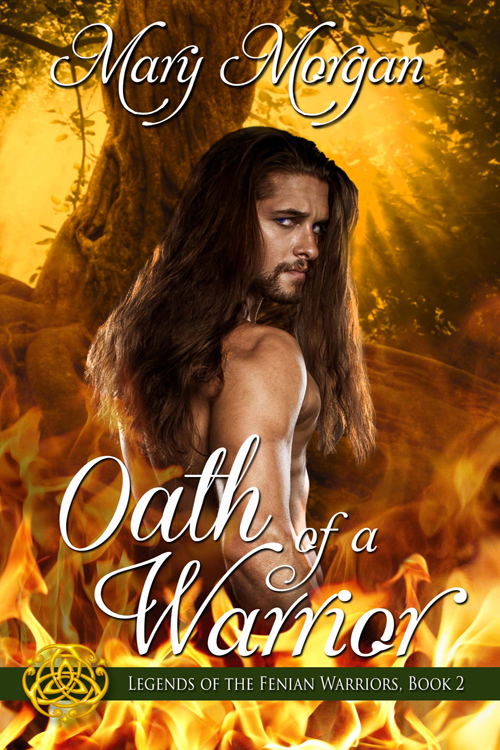 But today, as a special treat, she’s written a lovely post to celebrate her recent release, Oath of a Warrior. So I’ll just sit back and enjoy it with you. Take it away, Mary! Thanks for having me on your wonderful blog today! OATH OF A WARRIOR, Legends of the Fenian Warriors, Book 2 is about second chances, healing, renewal, and those that tend not to fit within the rules of society. You first meet the hero in Dragon Knight’s Sword, Order of the Dragon Knights, Book 1. The Fae Warriors were prominent throughout this series, so I was thrilled to give them all their own stories. Rory MacGregor was the most tortured hero I’ve ever written, and I’ve chosen the first few pages of Chapter One to share with your readers. This opening scene reflected the anguish he kept hidden and never spoke about to anyone. In doing research for Oath of a Warrior, I came across hundreds of cases pertaining to witches and the witch trials in Scotland. The records of Scotland’s witch trials spanned over a period of 200 years during the 16th and 17th centuries. However, I did find evidence of several women being burned, or executed in the late 15th century. This was a dark period in Scottish history, exposing a culture of fear and panic that cast a cloud over much of Scotland. Some of the charges brought against these individuals ranged from belonging to a coven, receiving herbs from the Queen of the Faeries, and using charms against another person. It did not matter if you were a servant or upper class, either. If you wanted to rid yourself of someone, all you had to do was accuse the person of being a witch. Erina was a wonderful character to write and one I knew who would appeal to Rory. She loved her garden and animals, tended to those who required healing, made love charms, and believed in the old ways. This was a perfect combination for any to accuse her of dealing in the black arts. Yet, she never saw herself as a witch. Only someone who was different. Sadly, even in this century, we tend to look at others who do not walk the same path as the majority as odd. This recipe is one that I mentioned in the story. It’s a favorite of Erina’s. In 17th century Scotland, she might have made it with less sugar and more honey, or no sugar at all. I’ve adapted this recipe with all sugar. It’s delicious and perfect during the summertime or early autumn months. Red roses symbolize passion, sacrifice, and love. It’s a perfect blend for my love story and this recipe. Sounds delicious! Thank you so much for joining me today, Mary. Smoke filled his lungs, strangling his pitiful cries for mercy. Dust coated his mouth, and his eyes burned, reminding him of the flames of dragon fire during raging battles. Repeatedly, they continued to pummel his face, while his hands and feet remained bound as he knelt on the ground. Some threw stones at his head and others spouted vile obscenities and spat on him. He choked back the copper taste of blood and attempted to reason with any one of his captors. Did they not understand who he was? Did they not know he could boil the blood within their bodies and peel the skin from their bones? He, a great Fenian Warrior could obliterate their entire city! But he would not. Death would come far more quickly if he harmed so much as a hair on their pathetic bodies. In truth, he was honored bound by an oath to these deplorable humans. “Bind…me to…the stake,” he pleaded in a choked voice. “Take me.” Fighting the wave of panic and the pain slashing his body, mind, and soul, Rory blinked in an attempt to focus and faced his tormentor. “Nae a witch,” he hissed. “A lad’s tale to amuse his friends,” he argued, during fits of coughing spasms. “Leave and go tend to your son,” ordered the man. Hastily making the sign of the cross, she quickly departed. “Please, have mercy,” begged Rory. “Mercy,” he echoed. “So that she may return and cast her evil ways upon us? Nae. She has been found guilty of her crimes.” Releasing his hold on Rory, the man nodded to another. Rory uttered a curse and looked at the woman bound to the burning stake. Eyes wide with fear gazed back at him as the flames took hold of her dress, licking a path up her body. Not once did she let out a scream of terror. Choking on the scent of burning flesh, he swallowed the bile threatening to heave and attempted to stand. He would not let her die like this. She had done nothing wrong. Yet, the effort cost Rory when his captor shoved a blade into his side. Pain dulled his senses, and he fought to move forward. He broke free from his bindings and heard the crowd gasp in horror. No longer caring if any witnessed his power, he lifted his arms, only to have another bash him over the head. Rory’s last glimpse of the woman he had forsaken were her screams of his name before he succumbed into the dark abyss, praying death would take them both swiftly. Awakening on a guttural cry, Rory turned and emptied what little he had in his stomach onto the ground. Gasping for breath, he waited for the spasms to settle within his body and rolled on his side. Wiping his mouth with the back of his hand, he leaned against the cool crystal wall of his prison, and let his head drop back. Gazing upward, he watched as the stars glittered like diamonds against an inky velvet night sky. The dream had once again come unbidden to him during his time spent in the Room of Reflection. Never once had he dreamt of her until he entered his imprisonment. Nae. He had banished the memories—tucked them away to a remote part of his being. Hardened himself against any emotions. Struck her name from any thought and vowed never to reveal to his fellow Fenian brothers his involvement in her capture, imprisonment, and death. Looks like just the type of book I love to read! Oh, Zara, thank you! I hope you get a chance to read my story. Thanks so much, Christine! I loved writing Rory and Erina’s amazing story.